It’s not everyday that you get asked if the Naturebytes Wildlife Cam Kit would survive a bite from a hyena. It’s not everyday that you get asked if the Naturebytes Wildlife Cam Kit would survive a bite from a hyena. One conservation organisation wanted to trial a kit to support their exciting citizen science project by capturing short 5 second video clips of animals roaming the African savanna so their users could identify what was spotted in the video. The Wildlife Cam Kit was therefore modified to take video (it takes photos by default) and took on the challenge. A USB WiFi dongle, 3G Netgear router and a larger Li-ion battery were added too. Instead of saving to the usual USB drive, videos were saved to the SD card instead. The real challenge with deploying kits remotely is establishing a connection to the device from your home / office to check battery levels, perhaps change a configuration file, or even command the kit to take a photo / video on demand. The local GSM provider didn’t allow us to purchase a static IP address (so we could connect to the kit directly). To get around this we used a rather fantastic programme called PageKite. PageKite is a reverse proxy service that doesn’t care what your original IP address is – it boots and then provides you with a fixed pagekite.me URL that always points to the kit. We’re using it at the moment to host a small http server too so we can browse the contents of the /video folder on the kit from afar. It’s great to see users modifying and extending the capabilities of the kit for their own needs and we can’t wait to see what the kit captures over time. Does anyone know how to modify this to take the 5 second video? This would be a very useful feature for me. Hi, how long last the battery? And what is the size? The only problem I found in Pi camera trap is that the battery doesn’t last too much. In fact, in relation with other commercial camera trap, just last a small fraction. How can we increase the battery autonomy? Thanks for the your attention. The cam should last about 2 days on the supplied 8800mAh battery, but yes, for extended durations we would recommend using a solar panel if you need the camera to be installed remotely. If you can generate ~240mAh continously you will be able to run the kit indefinetly. Another alternative is to use a power-over-ethernet adapter and a 100m cable (for garden use) to keep the cam powered. 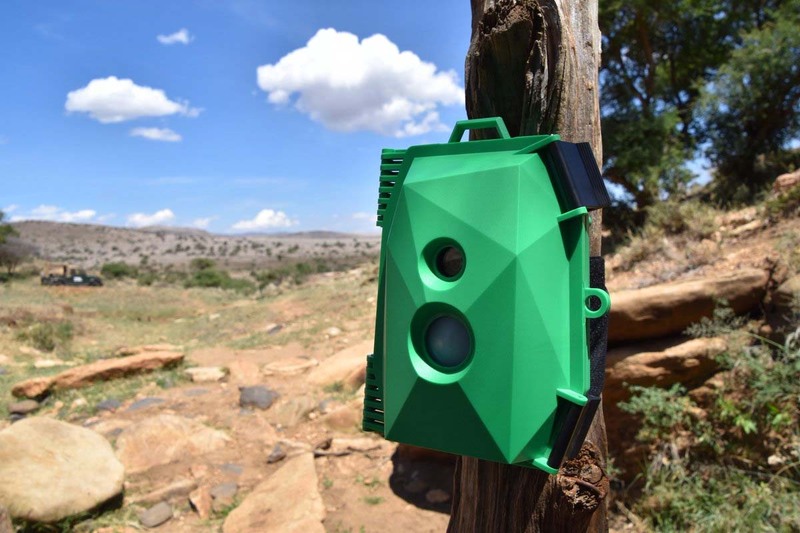 We are exploring a new solution for the kit to dramatically extend its battery life in the field from 2 days to several months on par with typical camera traps, but the develoment work for this will take some time.